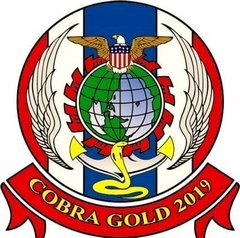 This week's 2019 Cobra Gold light military drills will once again celebrate the military ties between Thailand and the United States. An energetic atmosphere is set to mark this year's 11-day exercise, from Tuesday through Feb 22, with Thailand moving closer to reviving democratic rule as the March 24 general election nears. This year only light training drills will take place during this annual military tradition which was initiated by Thailand and the US in 1982. Both agreed to participate in alternating heavy and light drills every year in Thailand. But this year seems special to participants when they compare it with previous light training meets. A Thai army source who has participated in every edition since it began notes the US troops seem more excited about this year's 38th programme of military exercises. "It's filled with enthusiasm this year," he said. "Perhaps that's because Thailand is going to hold an election [that the US has been calling for]," he added. Usually, light years focus on teaching military chiefs of staff how to plan military training, civic assistance programmes and field training. But the 2019 Cobra Gold has also drawn excitement among Thai officers after they learned about the fleet of tanks, ships and aircraft that the US is sending to join the military drills. All Cobra Gold exercises include extensive civic action programmes. Video at the Facebook page for Cobra Gold 19 shows US Marines, Japan Self Defence troops and Thai soldiers building a new school at Phitsanuloke before the actual war games begin. 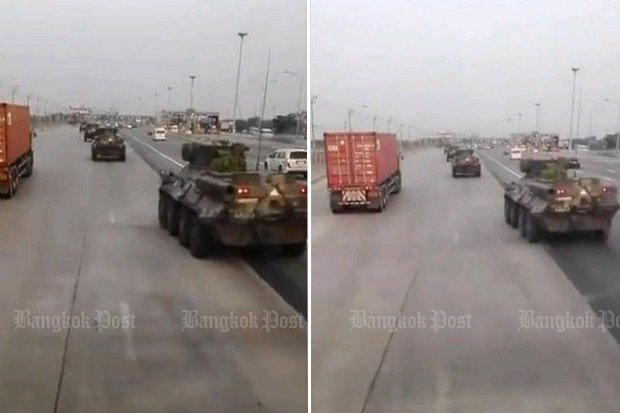 Seven M1A1 Abrams tanks, which took part in battles in the Middle East, will for the first time arrive in Thailand where they will be used during a session in Sukhothai in the north. The tanks will reportedly be handed over to Thailand after the drills as a "symbol of friendship", according to the source, though the Thai army would not confirm this. The US will also bring other armaments to the exercises, in which 29 countries in total will participate. 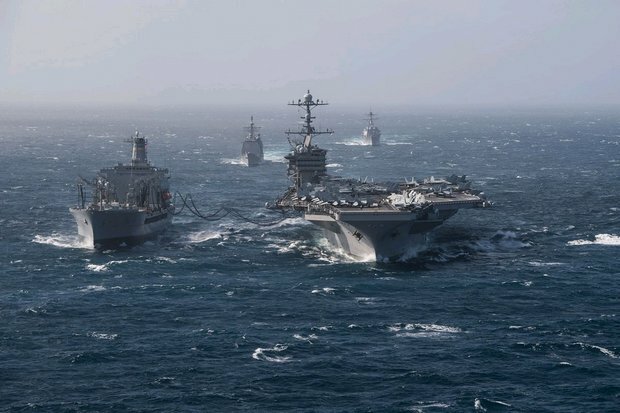 An impressive fleet of destroyers is sailing in, including the nuclear-powered USS John C Stennis, USS Green Bay and USS Essex. F35B fighters will also fly across the Thai skies during the event. 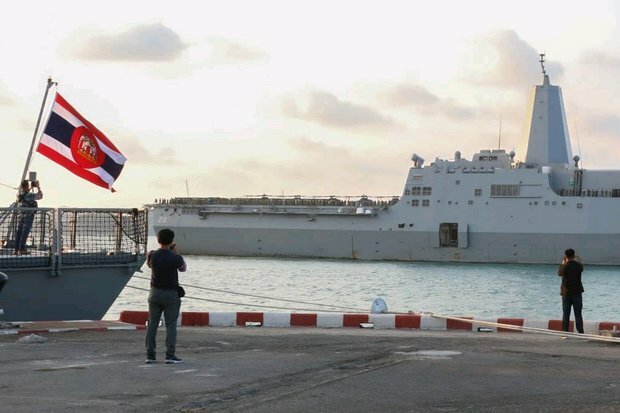 Exercises also will be held in Phitsanulok, a neighbouring province of Sukhothai, which will house the international forces' headquarters, as well as Chon Buri, Rayong and Chanthaburi in the East. After the 2014 coup, Thailand was heavily criticised by the administration of former US president Barack Obama with security-related aid from the US suspended as a result. However, after the military regime pushed ahead with its roadmap to the poll and Prime Minister Prayut Chan-o-cha and US President Donald Trump met in Washington in 2017, the two countries have forged a robust relationship and paved the way for more productive talks. Last year, Deputy Prime Minister and Defence Minister Prawit Wongsuwon was also invited to visit the Pentagon. His trip in April marked the first official visit by a Thai defence minister to the US in more than a decade. Thailand's army chief Apirat Kongsompong was also invited to visit the US army in Hawaii last year. In fact, earlier in 2017, he received an invitation to travel the US when he was the First Army chief. That was the first time Thailand saw its military ties with the US restored after Washington became less welcoming to Thai miitary chiefs after the coup. The Thai-US military relationship in the post-coup period has remained intact, said the army source. "Though we rose to power from the coup, this did not cause a severe impact on the military ties," the source said. It is true Washington halted financial aid for security issues, reduced its security cooperation and scaled back its involvement in the Cobra Gold exercises, but Thailand and the US have never completely stopped their military drills, he said. The Hanuman Guardian annual bilateral army-to-army exercise continued without a pause. The latest one, which was held for seven days, ended last week. Other types of military drills between Thai and US troops are also organised regularly, including special warfare exercises like "Balance Torch", the navy's Carat exercise and "Cope Tiger" which is participated in by air force officers from the US, Thailand and Singapore. One reason that the US has remained keen to continue the military exercises, especially Cobra Gold, is the valuable experience gained by all participating officers. "And it seems the US will receive more benefit [from the event] than Thailand," the source said. Cobra Gold, the biggest annual multilateral military exercise in the Asia-Pacific, is an excellent opportunity for American soldiers to familiarise themselves with the terrain and weather in Southeast Asia. Looking back to the past, the source said the US troops lost in the Vietnam War because they were unable to adapt to the unfamiliar environment. Cobra Gold gives them a chance to learn some region-specific tricks, including jungle survival. In some cases, soldiers have to drink snake blood to stay alive, thus earning the drills their name "Cobra", he said. Thai officers also have a chance to experience more modern military technology and strategies as well as practice their English language skills. Although Cobra Gold has never been cancelled, the US reduced the number of troops it sent from over 4,000 to 3,700 in the first year of the coup. But it has never indicated that it would consider suspending its participation. Peter M Haymond, Charge d' Affaires ad interim of the US Embassy in Thailand, said Cobra Gold reflects the long-standing relationship between the nations. "The US expressed some concerns when the NCPO [National Council for Peace and Order] took power. We have been promoting democracy and have been a proud partner of Thailand for many years with democratically elected governments. At the same time, our alliance with Thailand is not an alliance with one government or one party or one figure. 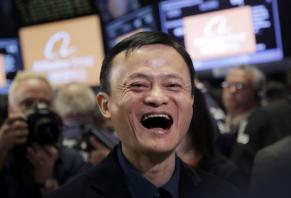 It's an alliance with the country," he said. "Even when we expressed some concerns, upsetting the new military government of Thailand, cooperation carried in matters concerning the military, law enforcement, public health, and counter-trafficking," he said. He said the US wants Thailand to be a strong, stable and prosperous country and a model in Asean. "Our own view is that Thailand is strongest when its government reflects the wishes of its people and is able to lead a strong prosperous society forward. 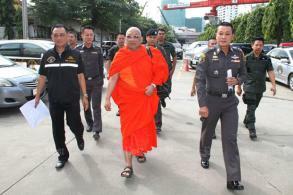 We understand that it was a difficult situation for Thailand with civil conflicts over the preceding years," he added. Although in the year following the coup, the number of US troops sent to participate in Cobra Gold was reduced, US involvement has returned to normal over the past two years, he said. Mr Haymond denied the US treats military gatherings like Cobra Gold as an opportunity to showcase military hardware that it wants to sell to countries in the region. While Cobra Gold also helps build relationships between senior officers, it is mainly about planning, executing and practising coordination so the personnel of the participating countries can execute missions together when cooperative responses are needed, such as in times of challenging security threats or natural disasters, said Mr Haymond. "The main point of Cobra Gold is not technology or event training. It's matching up military doctrine and holding unit functions together. In the end, the key parts of any armed forces are personnel and how capable they are. Personnel from every nation practice together and drill until they can act together efficiently. Cobra Gold is the largest multilateral exercise which brings together Thai and US and also other countries. That is the main benefit," he said. He said the challenges of Cobra Gold are the complexity of the activities and the time-consuming planning needed prior to the actual event. He also expressed his hopes that this military collaboration can continue to be successful and grow long into the future.